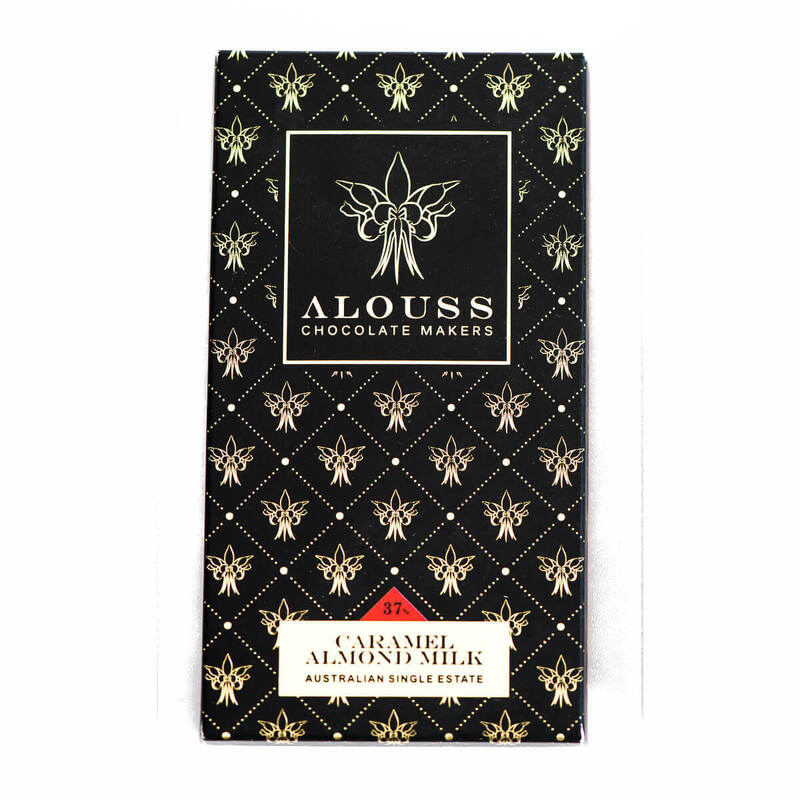 View cart “Caramel Almond Milk – 45g” has been added to your cart. This Chocolate bar was inspired by my mother. On every special occasion my mother would always make her special caramel almond macaron’s, which are melt-in-the-mouth pillows that are filled with a delicate caramel ganache. 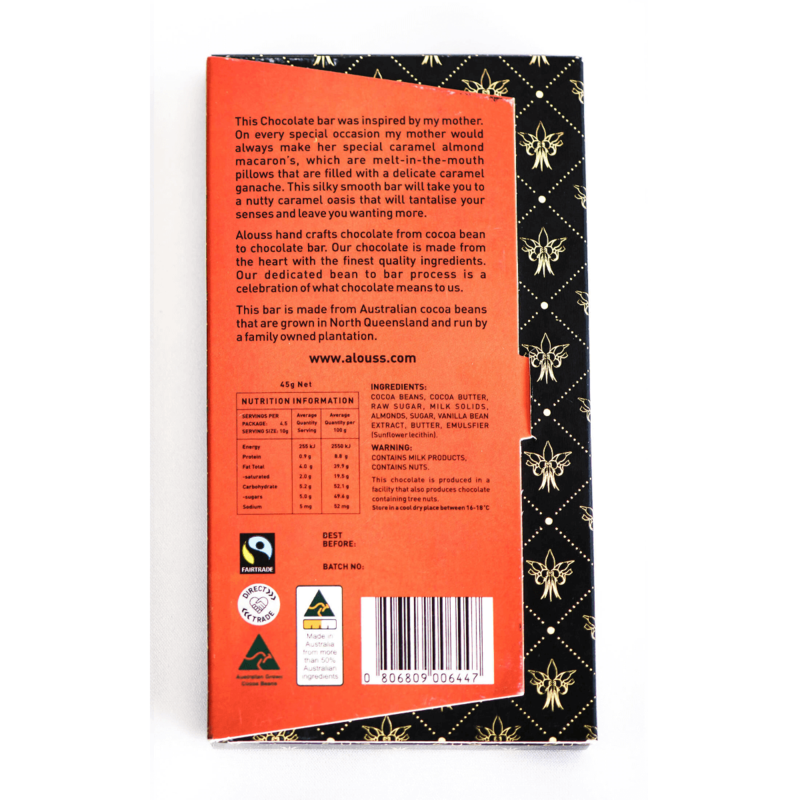 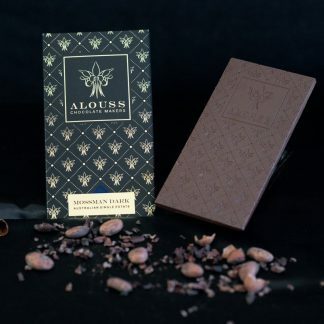 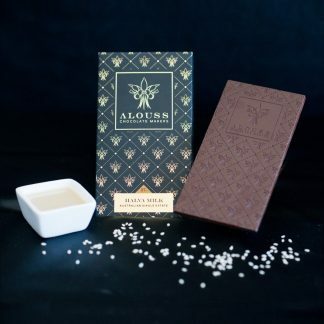 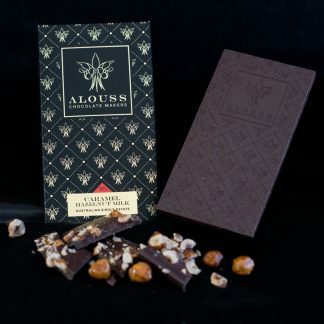 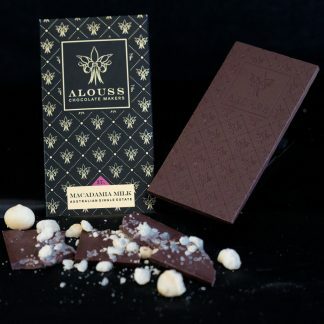 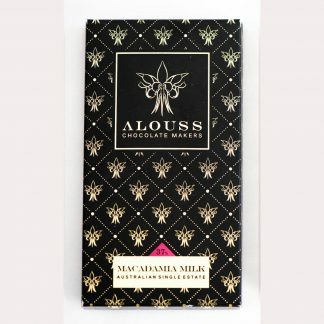 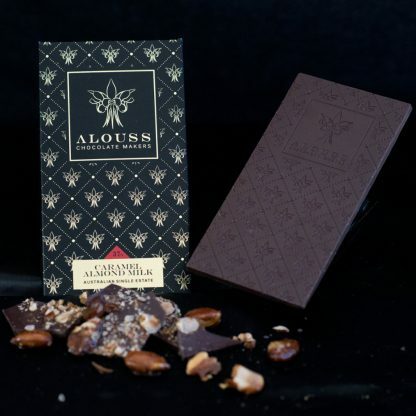 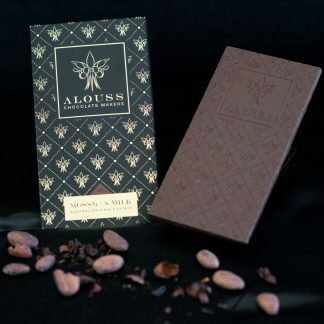 This silky smooth bar will take you to a nutty caramel oasis that will tantalize your senses and leave you wanting more.